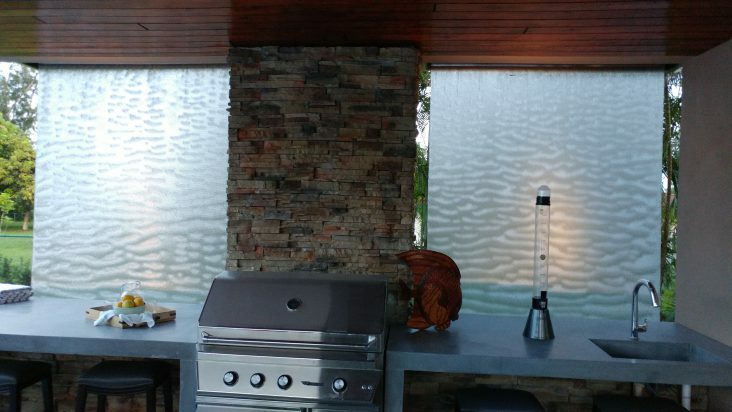 Transform your space with the fluid harmony of a custom water feature, made from the finest materials and with the utmost care. 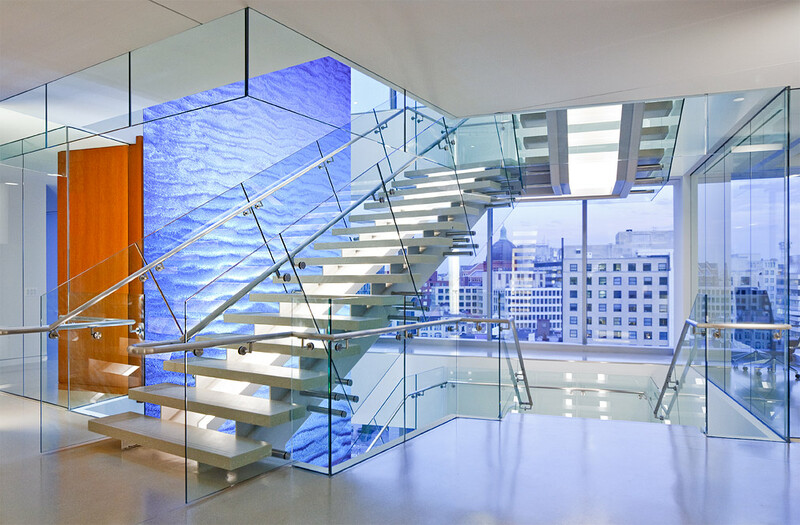 Harmonic Environments® originated the concept of high-quality, custom waterfalls in 1987 and we continue to evolve the natural design, beauty, and functionality of these statement art installations. 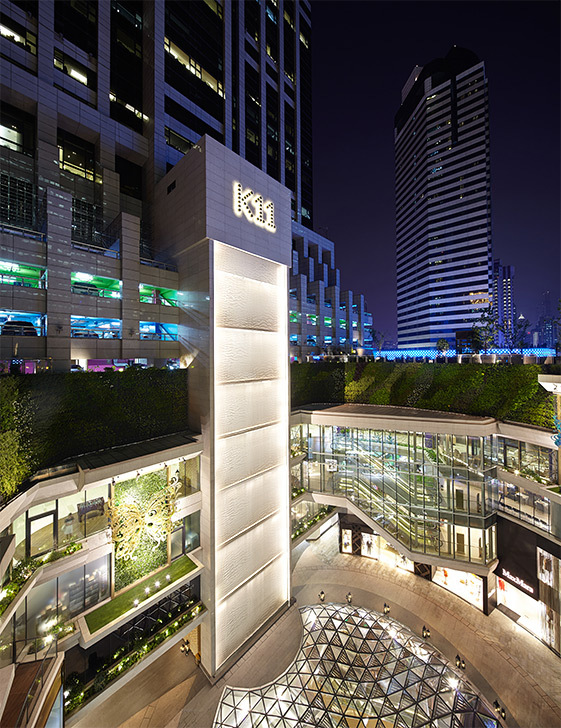 Our unique solutions and guaranteed workmanship keep us at the forefront of the industry we created and perfected. 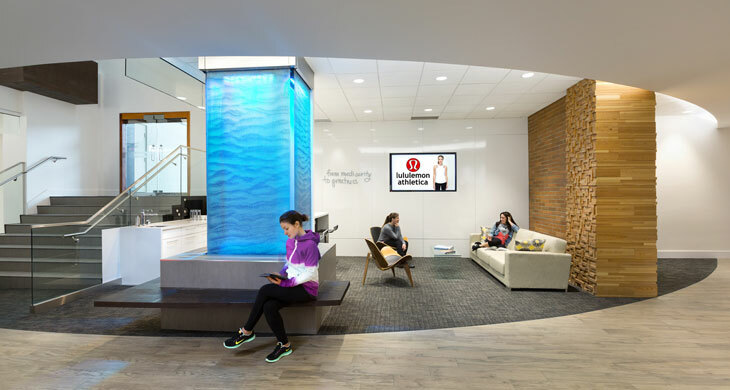 The newly redesigned lobby of Lululemon headquarters transformed a critical column to an inspiring centerpiece. 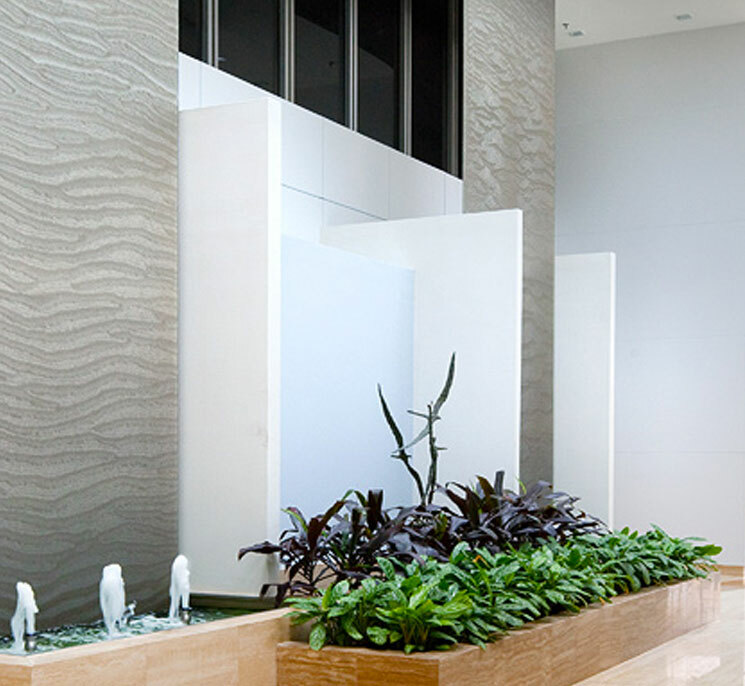 The statement art piece illuminates the space with a calming waterfall on three sides, adding a focal point to the entrance and a memorable element upon leaving. 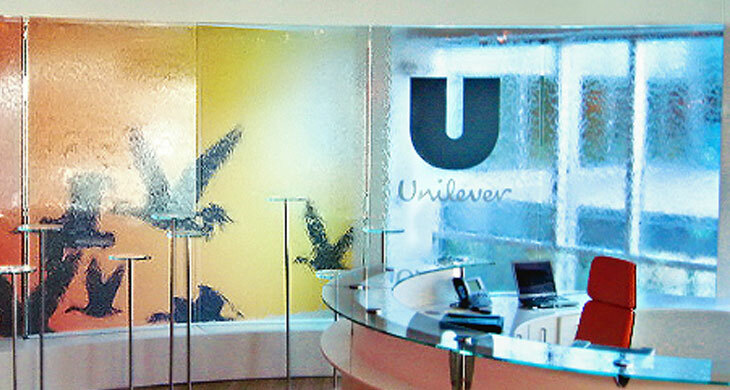 Twenty-eight feet of luminous waterfall surround the entrance to Unilever, a truly grand welcoming. The sweeping waterfalls artfully display Unilever’s vibrant culture while filtering the light from outside with texture and movement. 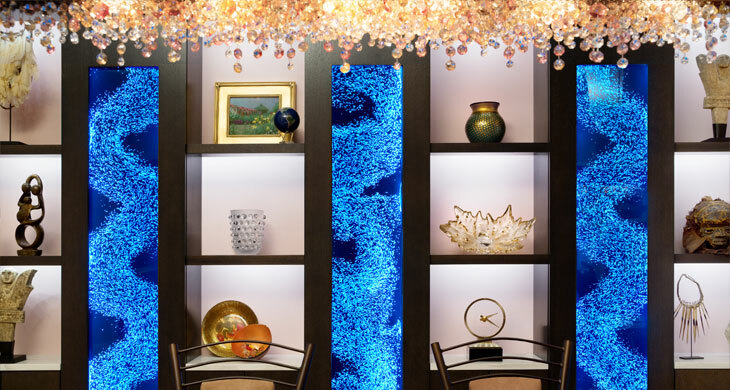 This one-of-a-kind AeroPanels feature creates movement and texture within a handcrafted, hardwood built-in designed to showcase the owner's personal collection of mementos and memerizing water feature. "These waterfalls are so epic - they give a great zen vibe and they look amazing."